Home » SEO , seo-computer » Why Backlink Is Very Important? 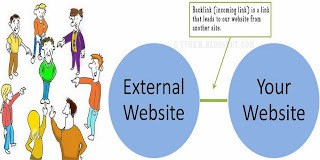 Why Backlink Is Very Important? Today I was sleepy, but it is ok. I will try to write about another SEO technique or another technique that is a Backlink. A Backlink is a link that leads one website to another website. In other words, backlink is a link that will improve your Search Engine Results Page (SERP) position in Google. The number of owned backlinks is the popularity of the site. Backlinks gives strength to compete in the Google SERP position. The next level will reinforce the keywords in your blog. Furthermore, the popularity of the site will determine the position of the search results page on search engines, if a website getting popular then Google the PageRank value will increase. So obviously, backlinks are one of the important factors that determine the Google PageRank. Why we should learn about backlinks? I also confused why? If we are reading an article, we will ask, "What are the benefits of this article that I have read?" How about the following question: "If there are more backlinks, it will increase the site's Page Rank?" My answer is not necessarily because Page Rank depends on many factors. A few things will be assessed for Google about the quality of backlinks. I would not be proud if this blog had many backlinks until reach hundreds or even thousands of backlinks (if that much). Why? Because I prefer quality backlinks. What is meant by quality backlinks for Google? Incoming links that we have that come from other sites with similar topics or topics relating to our site are quality incoming links. When incoming links come from other sites that not connected at all with our site then the search engines will assume it's poor quality. The greater the relevance of incoming links, the greater their quality in the eyes of Google search engine. For example, if there is a site with a theme of Blog Tutorial, connected with backlinks from other sites with the theme Tips and Tricks Blogging, then the backlinks are considered to be higher quality and more relevant. However, if the site receives an incoming link from a site with the theme of Traditional Cuisine of Sabah or Mobile Technology, of course, the backlinks are not relevant and poor quality. This is what I said quality backlinks were. What is exactly the benefit of backlinks? A backlink is useful for increasing the popularity of a site in search engines. A backlink is also useful as a guide or path for visitors to come to our site. Where do the paths come from? Apart from search engines, visitors also come from sites that provide a direct backlink to our site. We can get a backlink from a variety of ways. For instance, by submitting our site to other blog/web directories. Submit your website URL to various social networking and commenting sites or blogs that we follow. Exchange links and recommend other blogs with sites already indexed by Google. Put ads on free classified websites with a higher Page Rank. How do I put backlinks effectively? Backlinks will have higher quality when placed in a strategic location. Of course, it is important to consider sites that accept backlinks from our site. How might others find our site when backlink is placed where people cannot easily access it? Many indicators that point to our site are in the message box, but it can be difficult to find these indicators. Well, in the case of sites with good navigation, of course this is not a problem. What does the term "placement of natural backlink links mean? Natural backlink are placements that are inserted into the content or articles and in sentences while still looking natural. Why? Google scans the text link or anchor link. Want more quality backlinks? It is recommended that you use deep linking with natural linking more focused on the page (web page) of a particular site. Usually this is the form of recommendation or source of the article we get. To check your website, backlink to your blog, using a free service known as Backlink Checker which is available on internet sites. Backlink Checker has a high accuracy rate in the diagnosing of backlink on our site. 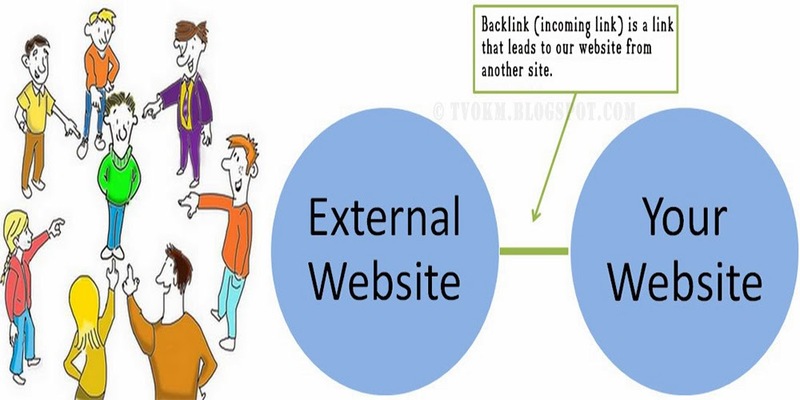 A brief description of backlinks, actually many more information about it, that we can learn to improve our visions. Because I am still learning, my knowledge about backlinks is still superficial. One thing is for sure, we should understand what is SEO (Search Engine Optimization) and learn about backlinks, as it is one of the important factors to determining the Google PageRank. See you on the next tutorial which hopefully will be useful. Thanks, Great post. Leading search engine optimization company providing affordable search engine optimization,internet marketing, link popularity solutions and seo services to get higher search engines placements. First of all, we should already know what we are talking about when we say "backlinks". A backlink is a link pointing to a site. This is a very important positioning factor that has existed since the SEO (finally Google ...) appeared. Even when I started working for dental marketing and I see it the site with max quality backlinks rank in Google. Although the engines have been trying for several years to limit the importance of backlinks, they struggle to get rid of them because their influence is at the base of the sorting algorithm of Google, Bing or Yahoo! Backlinks are therefore the subject of many debates in the sphere of SEO. Everyone agrees that they have a radical importance and it is often said that what differentiates a site on the front page of another, it will be its backlink fabric. As you say it: it counts enormously!